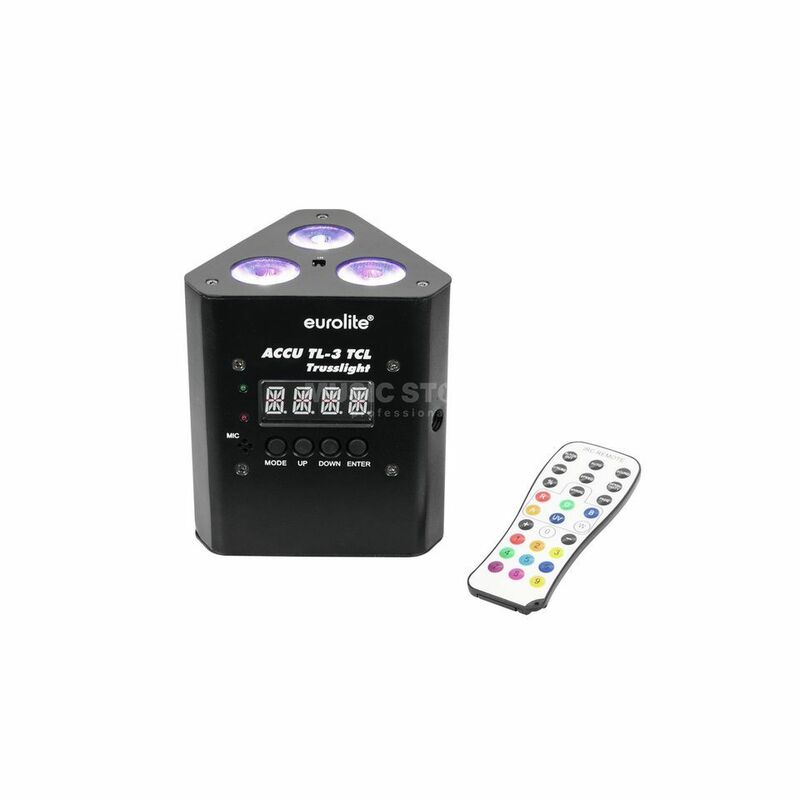 The Eurolite AKKU TL-3 TCL Trusslight is a 19W trusslight, featuring 3x 3W tricolour RGB LEDs, with a 4-digit LED display, adjustable dimmer speed, cordless construction, and controllable via DMX. The AKKU TL-3 TCL is a compact and bright trusslight, making it perfect for truss installation thanks to its cordless, flexible and versatile construction. Equipped with 3 x 3 W TCL (tricolor LED) in red, green and blue, this trusslight offers flicker-free projection and operation via mains connection or built-in rechargeable lithium-ion battery with up to 6.5 hours operating time. An integrated automatic charging of the battery with indicator is included, as well as control via the Eurolite IR-7 remote control that is included in the delivery.